Maizeon's signature move. 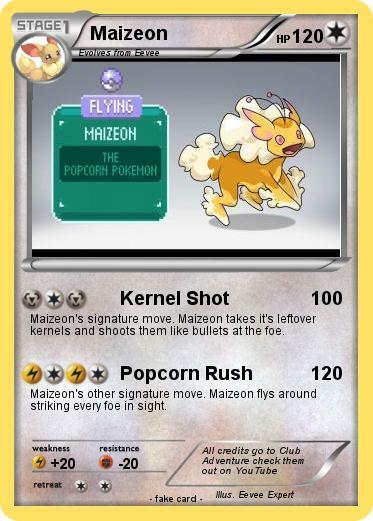 Maizeon takes it's leftover kernels and shoots them like bullets at the foe. Maizeon's other signature move. Maizeon flys around striking every foe in sight.